Keep your glass doors and shower walls sparkling. 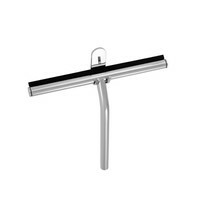 Finish your shower routine with a clean sweep of glass and tile surfaces. The soft flexible sweep conforms to all solid stone surfaces and tile grout lines. 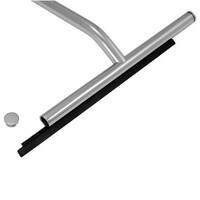 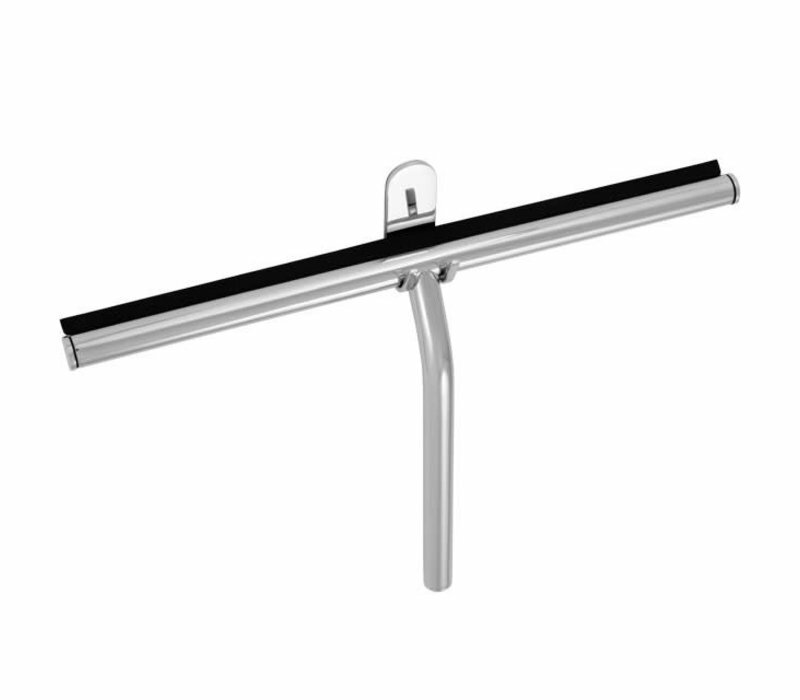 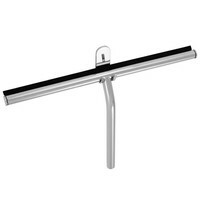 The hook for hanging the squeegee is installed without screws using 3M VHB two sided acrylic tape (90 Lb. 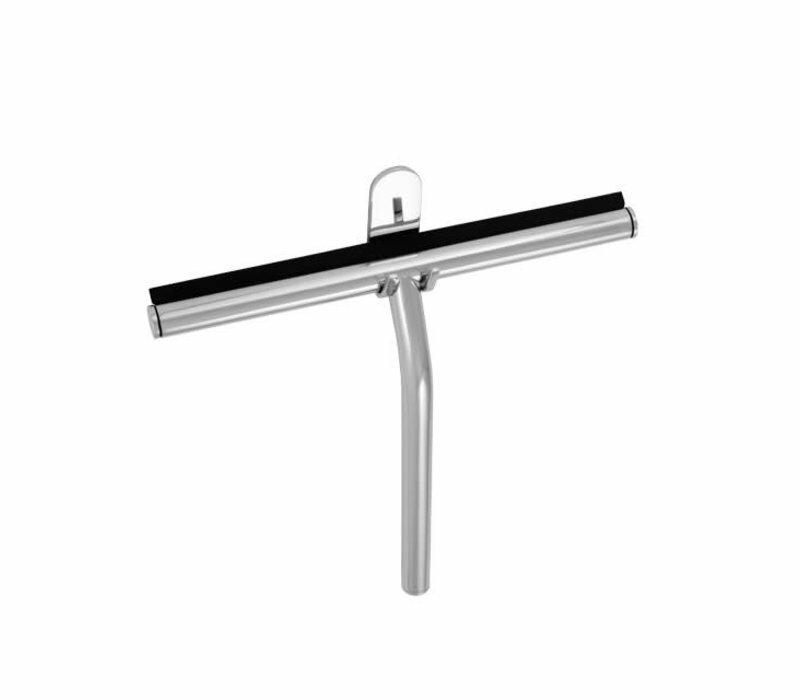 test). 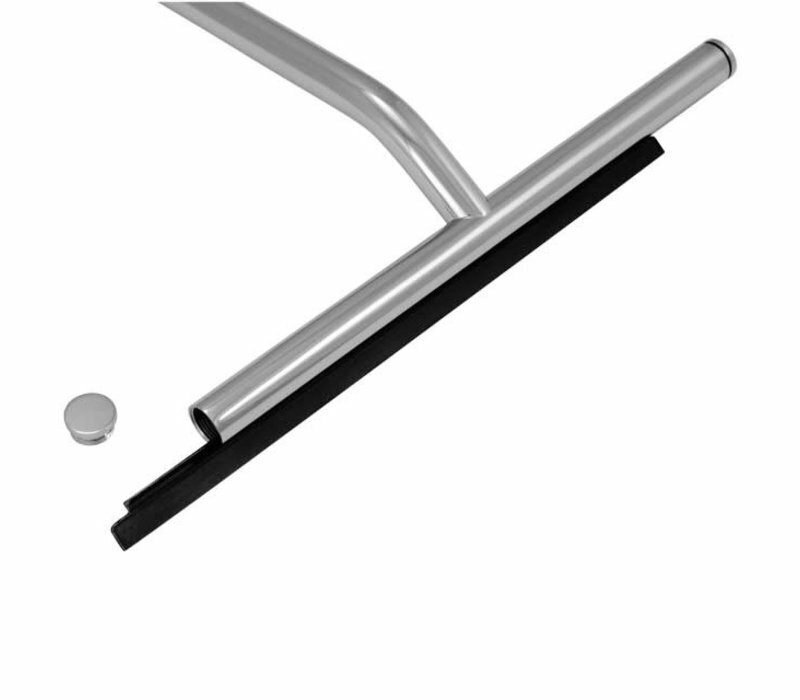 Flexible rubber sweep is replaceable.